Inviting friends to Pixpa is a rewarding experience for everyone. You get 6 months free on your subscription plan for every friend who subscribes to Pixpa. You can get the entire year free if you have just 2 of your friends subscribe to Pixpa! Your friends also get a 10% discount for the first year subscription. From this invite page, you can invite friends through email, social media or simply by sharing your unique referral link with anyone or you may also directly share your referral coupon code. 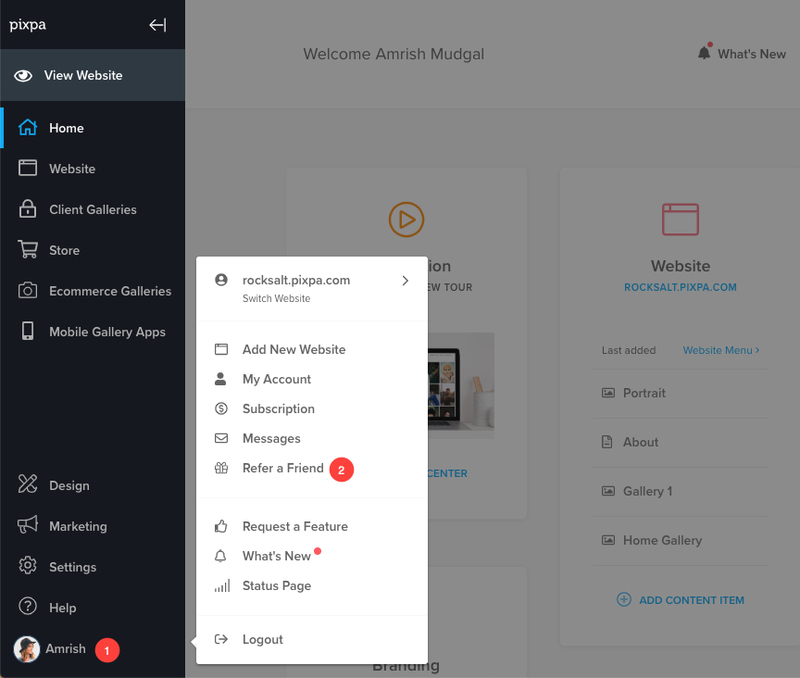 Once your friends signup for a trial, they would start showing up in your “My Invitees” section and then you can make a redeem request once they start their subscription. 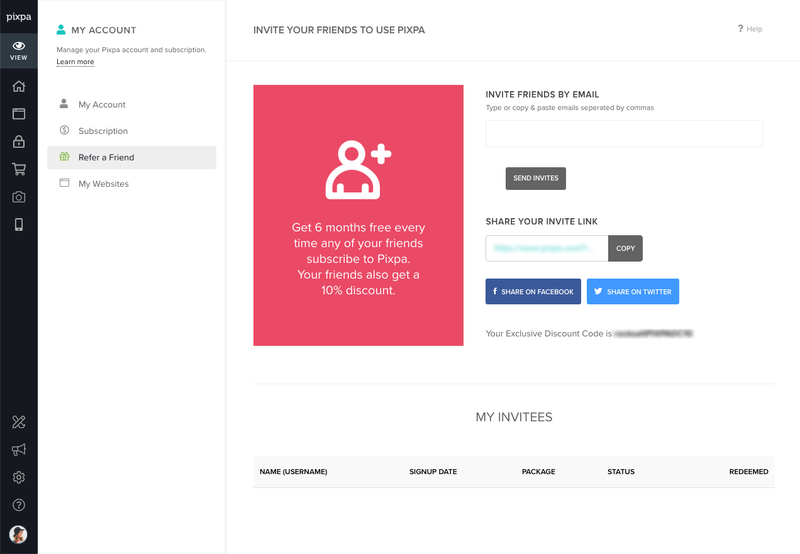 Once any of your invitees subscribes to a paid Pixpa plan, we will make the next 6 months free for you. If your are on a monthly plan, your next payment will be charged 6 months later. If you are on an yearly plan, your next renewal date will be postponed by 6 months.